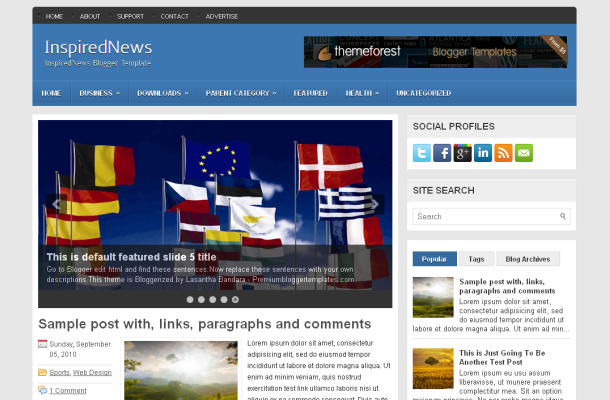 Description : Inspired News Blogger Template is a free blogger template custom design with 1 Sidebar, 2 Column, Adapted from WordPress, Blue, Elegant, Featured Section, Fixed width, Fresh, Grey, Header Banner, Magazine, Premium, Right Sidebar, Slider, Tabbed widget, Top Navigation Bar, Web 2.0, White and more. Description : Conventy Blogger Template is a free blogger template custom design with 1 Sidebar, 2 Column, 4 Column footer, Adapted from WordPress, Black, Elegant, Featured Section, Fixed width, Fresh, Header Banner, Magazine, Premium, Red, Right Sidebar, Slider, Tabbed widget, Top Navigation Bar, Web 2.0, White and more. Description : Grey Press Blogger Template is a built with features that are specific to a magazine such as sections for newa, events, messages, service timings, contact details, 1 Right Sidebar, 2 Column, Blogger, Elegant, Fixed, Gray, White, Wordpress Look and more. 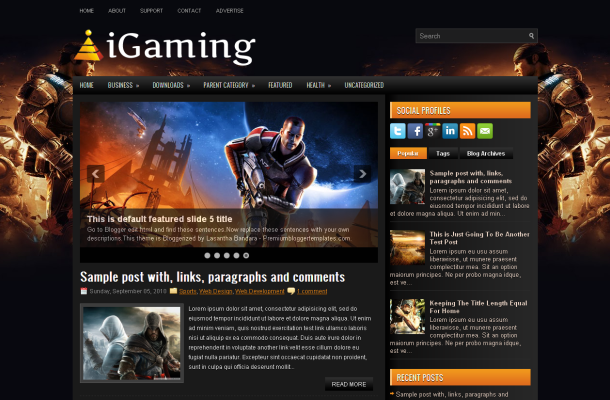 Description : Carmen Blogger Template is a Theme comes with an attractive layout and color combination. This will be suitable for sites for portfolios, photo journals etc. 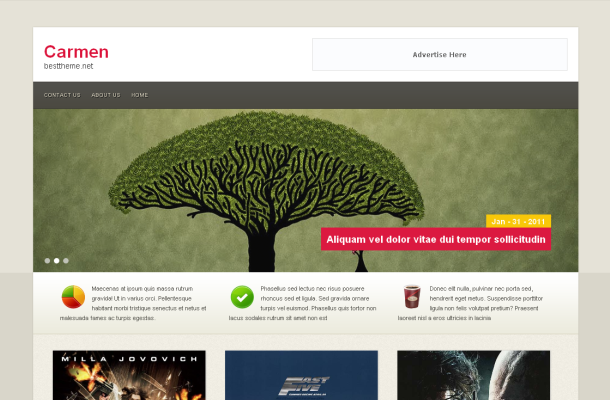 The theme features a jQuery featured slider and 3 customizable widgets on the homepage, 1 Right Sidebar, 3 Column, Ads Ready, Blogger, Bookmark Ready, Fixed, Gallery, Gray, Magazine, Slideshow, White, Wordpress Look and more. Description : Baby Shop Blogger Template is a free premium template with Professional Design for your Online Store. is specially designed templates that you create a conversion I want to build a simple online store, especially who want to sell knickknacks baby equipment. With a view that is very elegant style and look professional, this template-style course designed specifically Magazine plus Gallery , and do not forget I also have SEO features planted therein.